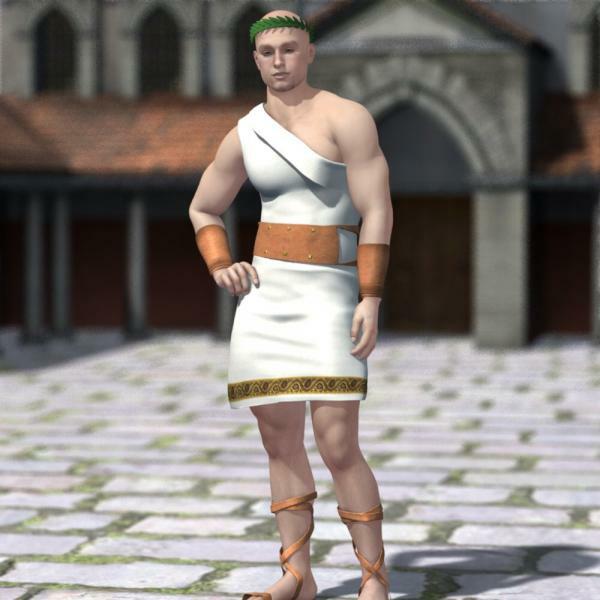 Relive the Roman times with this outfit. Dress your character in the typical white toga or add some color to show your character is royalty. Add the laurel head piece, or not- it's up to you! * Cuffs, at 2,880 polygons; no position morphs. * Laurel, at 24,000 polygons; no position morphs. * Sandals, at 16,768 polygons; no position morphs. * One set of texture maps for each clothing. * Each clothing includes the usual shape morphs to fit your M4 character, where applicable.